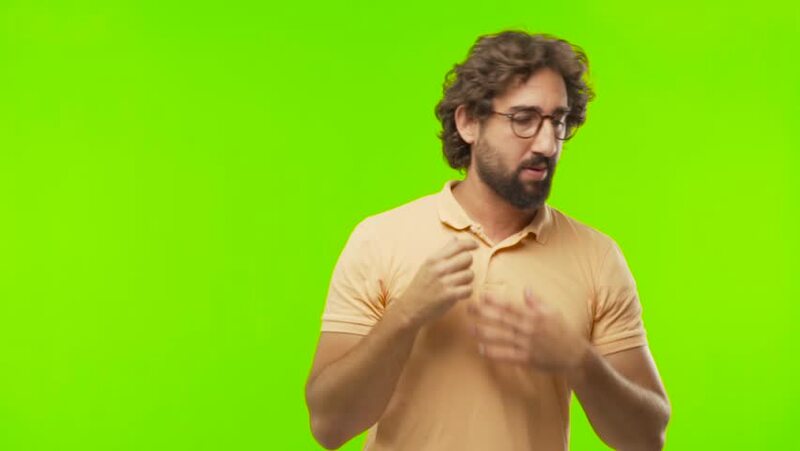 young bearded silly man stressed against chroma key editable background. ready to cut out the person. hd00:19Young Man Tooth Pain GreenScreen Footage was shot against green screen and keyed out. The bg is pure green, removing the green is only 1 click. Green spills are removed.